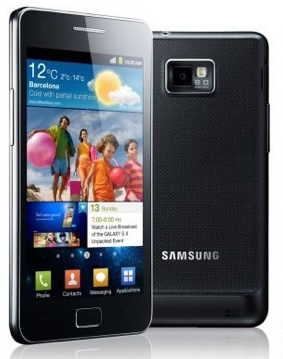 Samsung’s Galaxy S II has hit another milestone: 5 million sales. Okay, we get it, world - you like Galaxy S II. So much so that Samsung has announced today that it has sold 5 million copies of the phone since it was released three months ago. Of course, by “world” I mean nearly every place besides the U.S., where the S II is set to make its appearance at some point next month on one or all of the major carriers. In any case, Samsung says it plans to sell about five million more of the Galaxy S II, so there’s still plenty of work to do. And then there’s also that little matter of the iPhone 5 eventually making its appearance. Libellés : Ricardo Bilton, Sales, Sales Force Management, Sales Strategy, Samsung Electronics Co. Ltd., Telecom Utilities, U.S.